Police have revealed how they were called to help a 12-year-old girl who had taken drugs on Saturday night. 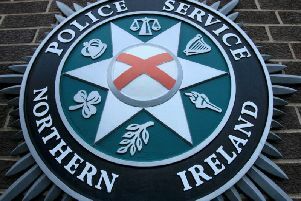 In a post on social media PSNI North Belfast reveal: "Last night we dealt with a call about a young lady who had taken some kind of drug. "She was extremely unwell and had to be treated in hospital. Thankfully, she is going to be OK.
"We have now seized a small quantity of white powder - which we will be getting forensically tested - and we will be looking into precisely where these drugs came from." Disturbingly they add: "This call would have been concerning enough IF we had been dealing with an adult - we weren't. The girl concerned was just 12 years old. "We are thankful that she's going to be OK but the incident does serve as a stark reminder that drugs aren't "harmless" as some people would have you believe. They aren't a bit of craic. "When we carry out operations against drug dealers, we aren't trying to ruin anyone's fun - we are trying to prevent stuff like this. We are trying to prevent our children and young people ending up in hospital, or worse. "Drugs are dangerous and unpredictable. They aren't worth the risk to your health or life. "If you can help us remove drugs from the streets or identify those dealing in your community, then please let us know. "Call 101 or give information anonymously to Crimestoppers on 0800 555 111."